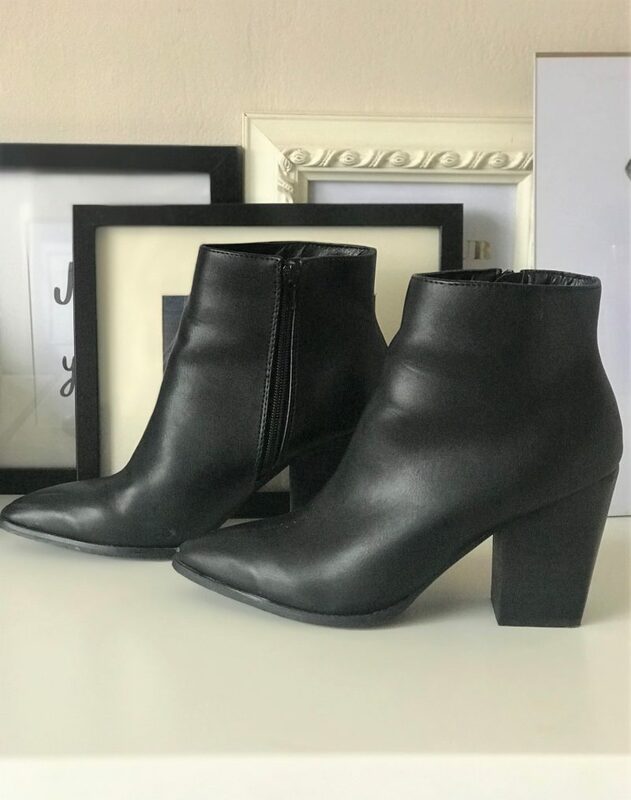 I was on a mission to get myself a new sassy, stylish pair of ankle boots in a faux leather, but also a pair with a more ‘block’ style heel so they are comfy enough to wear daily. 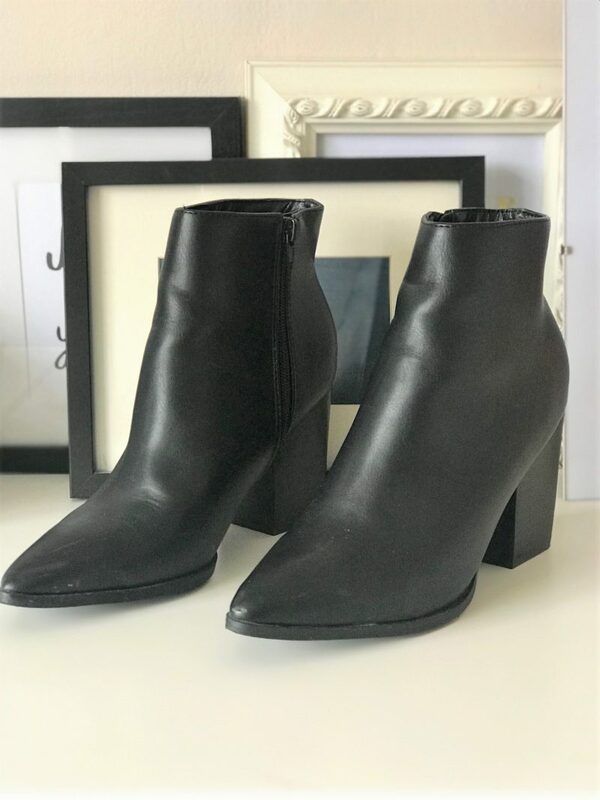 Luckily for me, it took me about 5 seconds flat to discover the Megan Block Heel Ankle Boot in Black from EGO – one of my favourite online retailers for shoes and boots. 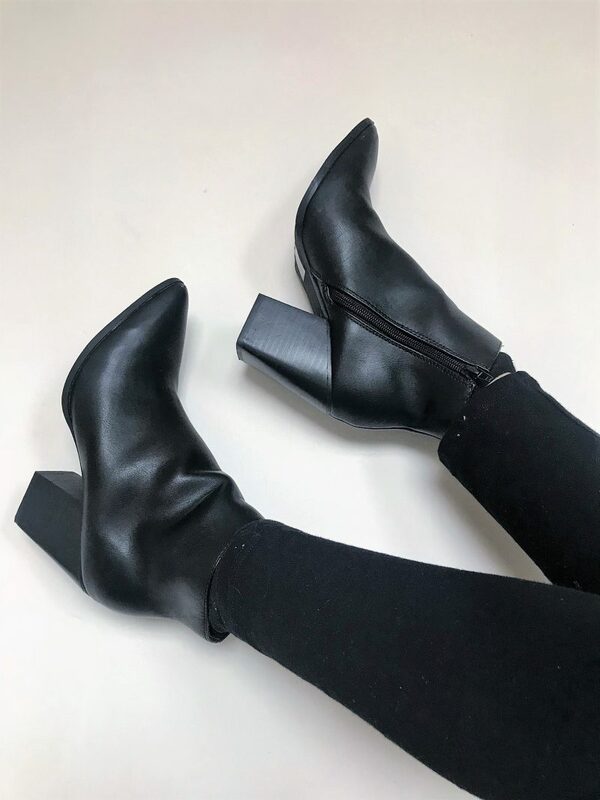 I’ve been a fan of EGO for a while now, since seeing them grow hugely on social media with their ever changing array of on trend shoes. 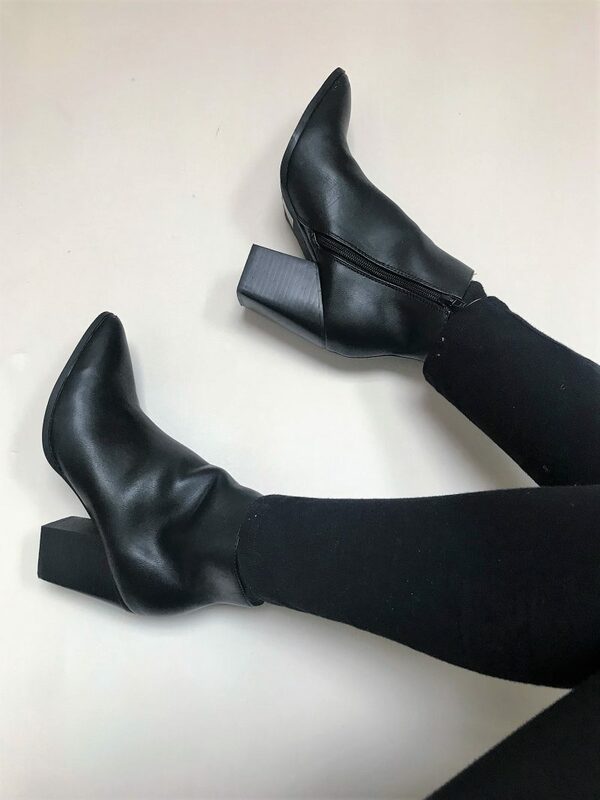 These stylish black boots are perfect to wear with tights and a dress , like I’ve styled up on the shots above, or with a pair of skinny jeans or even tailored trousers. 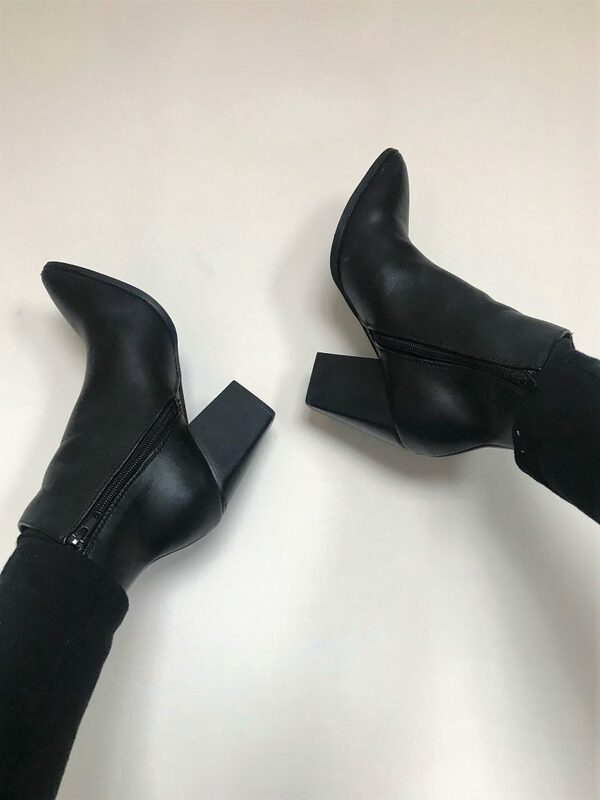 They feel durable and sturdy, like a real good quality pair of boots to take me into the Autumn season. They retail at £44.99, and I actually feel like I’m pretty sorted now with my footwear for the new season. OK so maybe I need a pair of wellies, some party shoes for Christmas, a new pair of fluffy slippers…. but you know the drill!